HONEY BEE or YELLOWJACKET WASP? 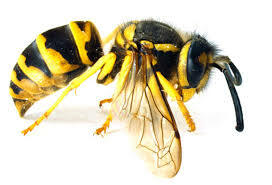 Wasps, an insect, are protein eaters typically of other insects like soft bodies caterpillars and spiders. They are beneficial predators as they clean our environment of dead bodies. The appear as skinny and shiny with no noticeable hairs on their bodies. They are carnivores, which we normally witness as we engage in picnicking with BBQ or sweet soft drinks. They are a social colony nesting in greyish ‘paper carton’ types of hives. Typically, their nests can be found underground in rodent holes but can also be found in other locals such as house walls. The yellow jacket does not produce or store honey. The yellow jacket may sting repeatedly and painfully while the honey bee worker may only sting once as it’s stinger is barbed dislodging at time of the sting. The yellow jacket is an annual colony in that it dies off after two hard frosts with the queen hibernating over winter to begin anew. The stinger is smooth, rather than barbed as a honey bee worker stinger is, allowing them to sting multiple times without dying. No stinger is left at the sting site. 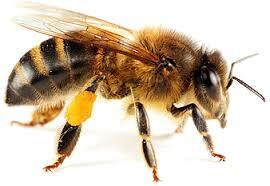 The honey bee, one of thousands within the bee family, are fatter and fuzzy or hairy. Bees eat pollen and nectar from flowers rather than meat. Yellow Jackets build greyish-brown paper envelope around the nest which typically is composed of wood fiber located below ground or suspended from objects above ground. The colony is comprised of a queens, workers and drones. Only an inseminated queen overwinters. The queen, after hibernating during the winter, emerges during a warm day in late spring or early summer to select a nesting site, build her nest, and begin to lays eggs. Once the initial eggs hatch, the queen will feed the young larvae for 18 to 20 days. Once the initial workers hatch they assume the duties of feeding the brood chewed up meat or fruit. These workers emerge from the nest foraging for food in the care of the queen and larvae. From early spring until the queen’s death in the autumn, the queen remains within the nest performing her primary function of laying eggs. It is merely the initial foray outside to bolster her nutrition in support of the initial brood that she exists the hive. Once the queen’s initial brood hatches the colony expands rapidly to 4000 to 5000 in size but can reach 10,000 to 15.000 in late summer. Virgin queens mate outside the hive with drones who quickly die. The newly fertilized queen then seeks new nests to overwinter. The existing colony, with its foundress queen, dwindles in population and ceases to exist as winter arrives. The diet of the adult yellow jacket is primarily sources rich in carbohydrates, such as fruits, flower nectar, and tree sap. The larvae are fed proteins from insects, meats, and fish. The adult collects and chews and conditions these before feeding to the larvae. 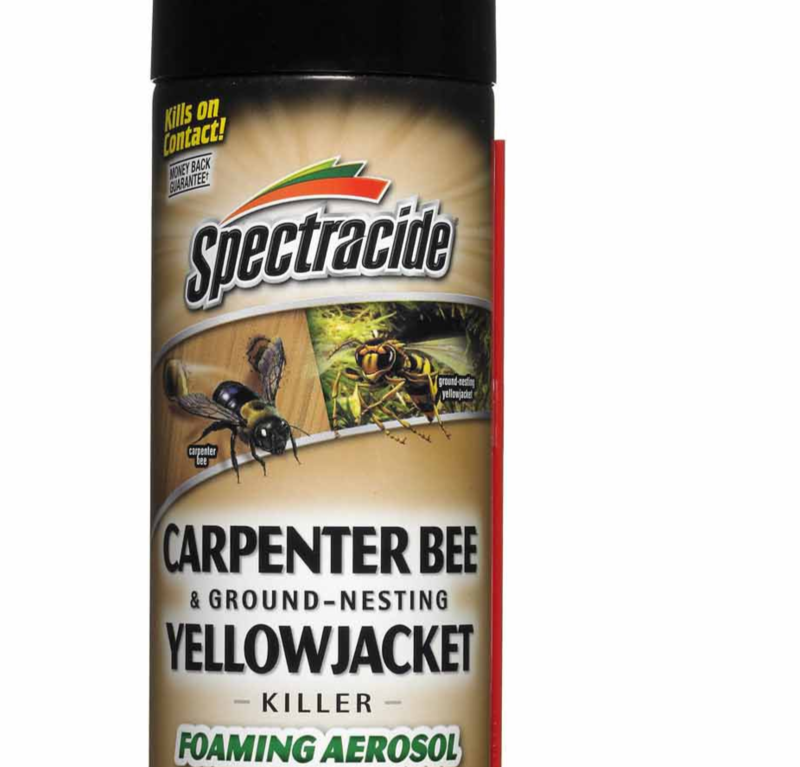 Although most beekeepers find the yellow jacket an enemy, the protein collected by foraging adults are typically derived from pest species. The yellow jacket larvae secrete a sugar material which is eaten by the adults; this exchange is a form of trophallaxis. Foraging workers, in late summer, seek out other food sources from meats to ripe fruits, but may also scavenge human garbage, sodas, and picnic foods. Should you be able to locate the nest, it is best to eradicate it at nights as the workers are inside and calm. Obtain an aerosol from your local hardware or garden store. Look for the can with a flexible tube (straw) attachment which allows application inside the nest and a bit away from entrance. DO NOT POUR petroleum products into ground nests, not only dangerous, but harmful and illegal to the environment. Wasp Spray with tube applicator. Locating nests may prove challenging. The use of poison baits to achieve area-wide control has proven beneficial. Luring the worker into a trap which kills them is one method reducing the overall population. Another method is creating a bait which the worker carries back to the nest, thereby eliminating the population of the hive. Using pet food (i.e. Friskies Ocean Whitefish) and adding fipronil has proven effective. The can should be housed in a wire basket (#10 hardware cloth) to prevent other animals from accessing. Creating bait stations should be protected to prevent other animals (birds) from poisoning. Akre, R.D. et al. (1980). The yellowjackets of America north of Mexico. USDA Agriculture Handbook 552. 102 pp. 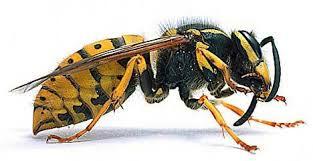 “About Yellowjackets and the Benefits of Wasps in the Garden”. Mother Earth News. 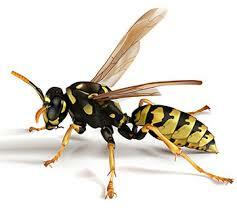 “Yellow jackets building enormous nests”. TuscaloosaNews.com. Retrieved 2013-01-14. Extension Daily: What is Causing Super-sized Yellow Jacket Nests?